Eighteen-year-old Lucy came to California to have fun. But within hours of arriving at the summer camp where she is supposed to work, she discovers the body of a boy floating in a nearby river. At least that’s what she thinks she sees. The body disappears down a waterfall and no-one will believe her that it existed in the first place – not even the police. Lucy decides to find out the truth for herself. Along the way, she discovers that life is stranger than she thought possible and death stranger still. Click here for the US version of Poison Oak Summer for Kindle. 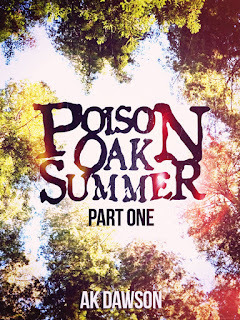 Click here for the UK version of Poison Oak Summer for Kindle.